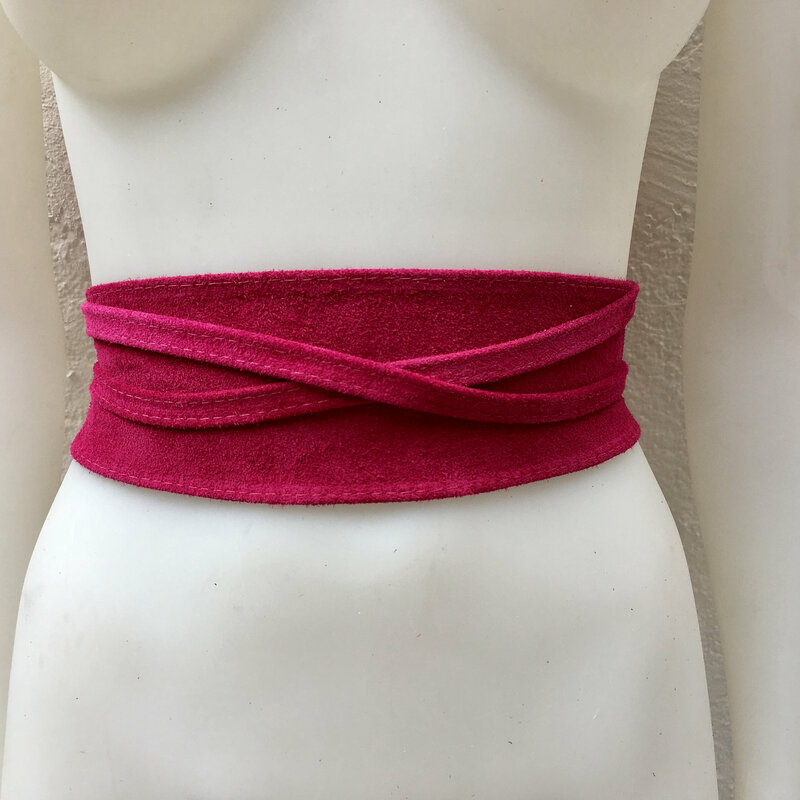 SHOCKING PINK OBI BELT in natural suede leather. Waist belt in soft natural suede leather. Magenta suede SASH.